Cross-elastic, water-resistant, non-woven bandage that provides light compression. Use alone or with Leukotape P.
Hypoallergenic and breathable construction for increased patient comfort. 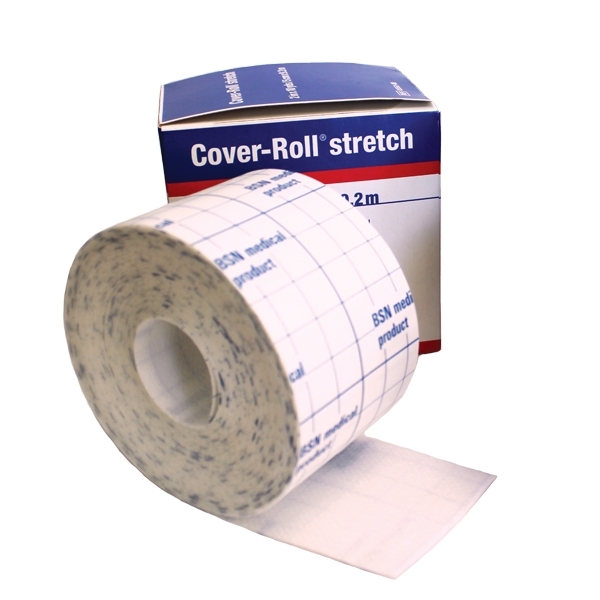 Can be used alone or as an underwrap for Leukotape P. Easy to cut for a variety of applications. Stretches with skin to provide patient comfort. Removes painlessly. Roll size is 2" x 10 yards (30'). Case includes 12 rolls. Latex free.